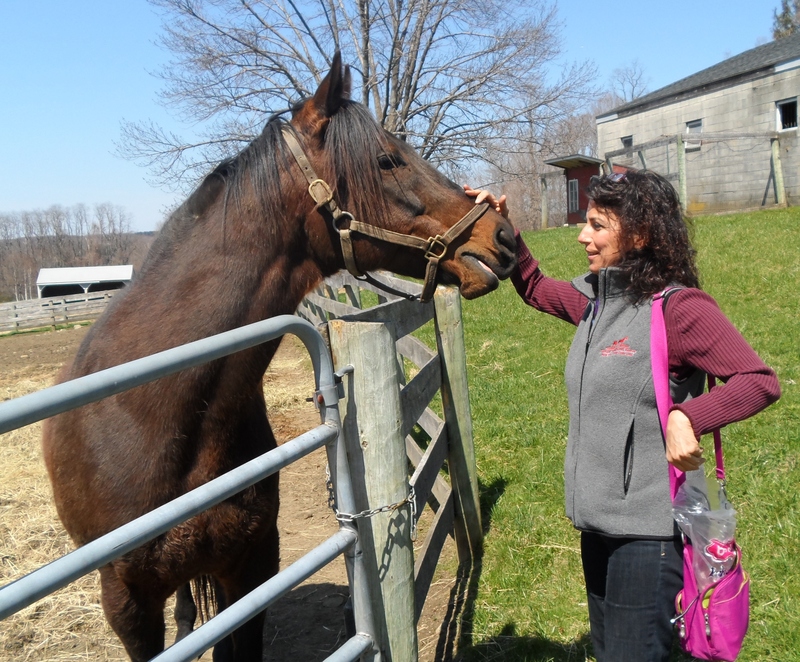 Can A Love of Animals and a Love of Horse Racing Co-exist? That’s the question that producer Doug Tribou and host Bill Littlefield asked me a couple of weeks ago, and over the course of an hour in the NPR studio in New York, I tried to answer it. For obvious reasons, the full hour of conversation didn’t make it into the segment, but some of what was cut, including discussion of New York Thoroughbred Horsemen’s Association’s Take the Lead program and the Thoroughbred Aftercare Alliance, will show up elsewhere in the near future. I’ve heard from a lot of people–in e-mail, on Twitter, in person, on Facebook–and thanks to them for sharing their experiences and feelings, and how they try to reconcile their love for animals with their love for the sport. Thanks to Doug and Bill for the chance to talk about this on Only A Game (click to listen)–and if you’re not listening to this weekly NPR sports program, subscribe to the podcast. It’s great. Kentucky Derby Charity League 2018: We’re off! This piece was a pleasure to read. I taught high school English and Social Science for many years, 20 of which were during my stint as a correspondent for the Bloodhorse magazine. I’ve had the conversation about the apparent denial and contradictions involved in loving animals and loving thoroughbred horse racing many times. As in all sports, there are half-truths and myths to de-bunk. One thing I know, there is often more care and concern for thoroughbred horses than for athletes in the highly competitive world of professional sports. No percentage in comparing the two, I simply want to make the case for the many involved in racing that do not conform to the stereotype that seemsk to flourish every time a highly anticipated race is on the horizon. Thanks, Bruce. And as a high school English teacher and contributor to The Blood-Horse, it’s a pleasure to follow in your footsteps.